While most social media networks have offered native video support for the past couple of years, LinkedIn is finally joining in on the action. Like other networks, videos will play automatically with the sound off. Key metrics such as likes, views and share counts will be displayed, and the video can be up to 10 minutes long. A view is counted if the video plays for at least three seconds. 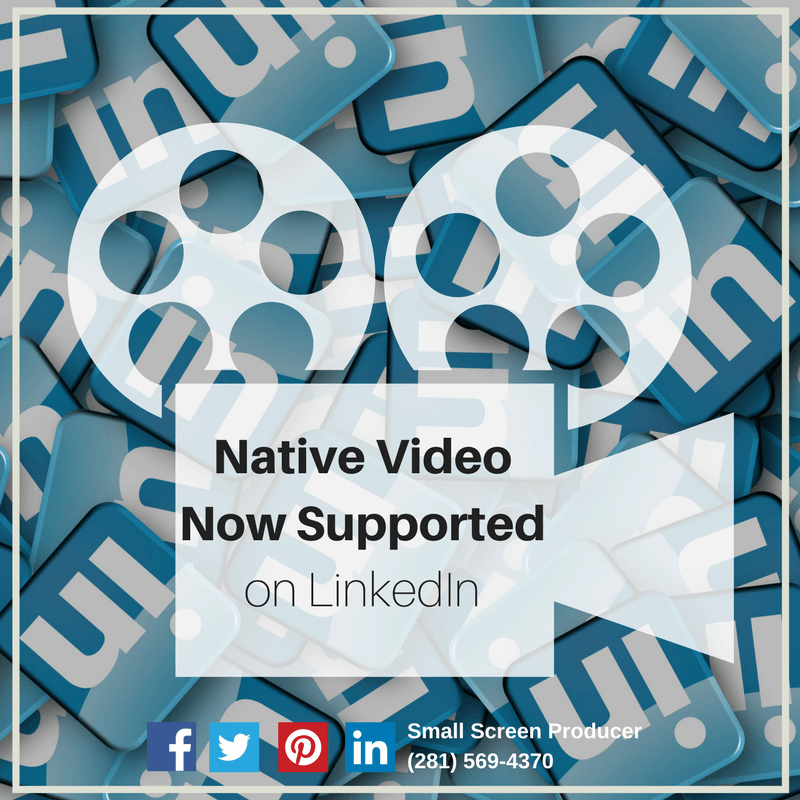 LinkedIn’s native video features are similar to other networks. How they differ is that you will be able to see a summarized report of each person who has viewed the video, such as a person’s job title and where they work. This new uploading feature will first be available to more influential profiles in the United States, and will eventually be rolled out worldwide. Small Screen Producer (SSP) writes, produces and markets engaging videos that will inspire action from your customers. From explainer and demo videos to video testimonials and more, our expert team of digital media marketing pros have created captivating videos for all types of businesses. Interested in starting your video marketing campaign? Call us today at (281) 569-4370.